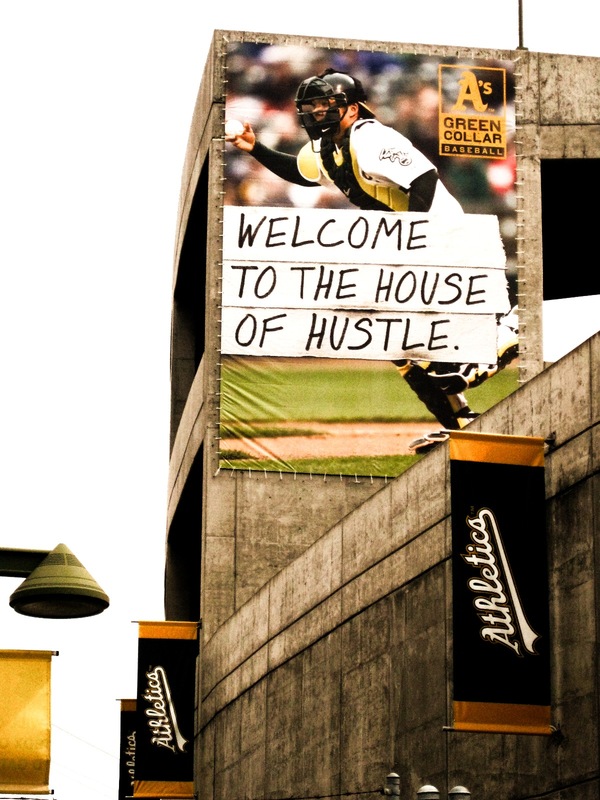 …serious A’s fans will be gathering at the Coliseum for the first time in 2010, but for the last game of the 2010 Spring Training season. Can’t wait to see everyone after a loooong off-season! I was at the Coliseum earlier this week to meet with the folks from Diamond Vision and couldn’t help but snap this photo of our pristine, gorgeous field. 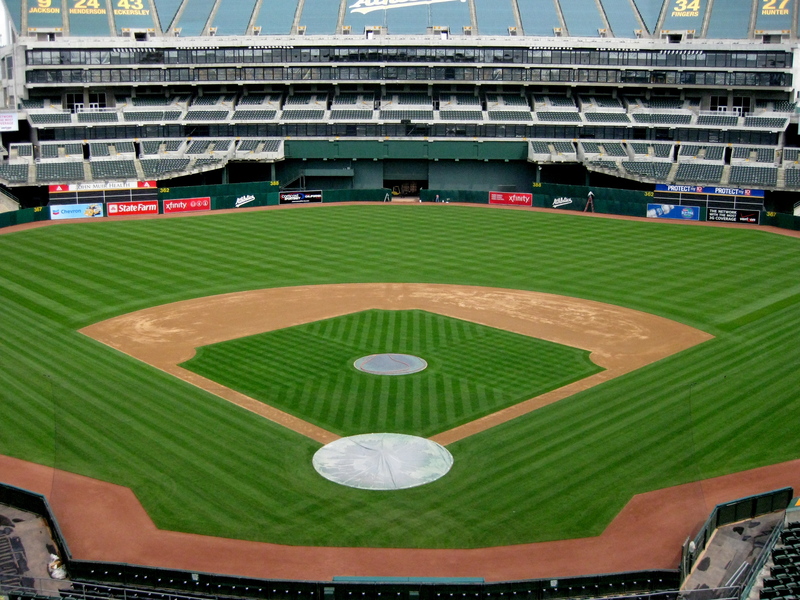 The Oakland A’s grounds crew is one of the finest in the league, but the field never looks better than now, before it’s even been played on. 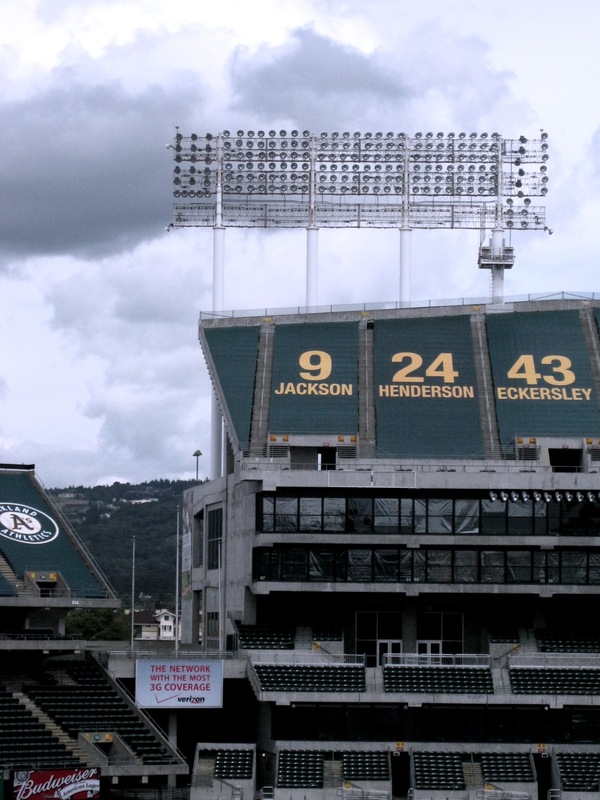 Here are some other photos from the Coliseum to show off where they placed Rickey Henderson’s retired #24 and one of the other banners at the stadium. See you tomorrow, fans!